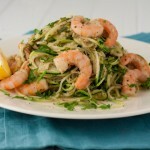 Pecan pesto, fresh parsley and shrimp served on a bed of zucchini noodles makes for the perfect light dinner for one! In a medium-sized frying pan, melt coconut oil on medium heat. 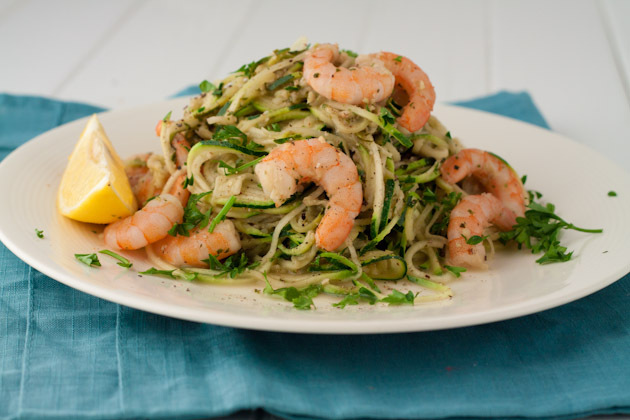 Add zucchini noodles and cook for 30 seconds, just to warm up. Add pesto and shrimp and stir to coat. Cook another 30 seconds. Transfer to a plate and garnish with salt, pepper, parsley and a lemon wedge.